Alibaba Group on Sunday said it had set up a HK$1 billion foundation to back businesses started by young Hong Kong entrepreneurs. On Monday, Alibaba Group Executive Chairman Jack Ma offered the city’s youth something that might be more valuable than cash: advice from China’s most successful Internet entrepreneur. Stop complaining. Ma said he had met many top business leaders and they are always optimistic, persistent and positive. If you must whine, turn it your advantage. Complaints can be opportunities in disguise. Ma said Alibaba was founded to tackle the complaint that Chinese exporters lacked global sales channels. Believe in yourself. Ma says he recently interviewed eight students who want to study at Lakeside College, a business school he opened last month in his hometown of Hangzhou, China. He came away impressed by the students’ breadth of knowledge and sophistication. “Young people today are much more capable than we were,” Ma said. “I feel lucky that I started my business 15 years ago. 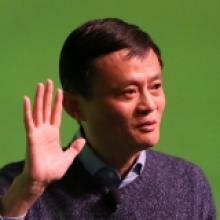 I would be defeated badly if I started today.“ Bottom line: don’t be intimidated, not even by Jack Ma. “All you need is to be confident in yourself and your partners when others are against you,” he said.